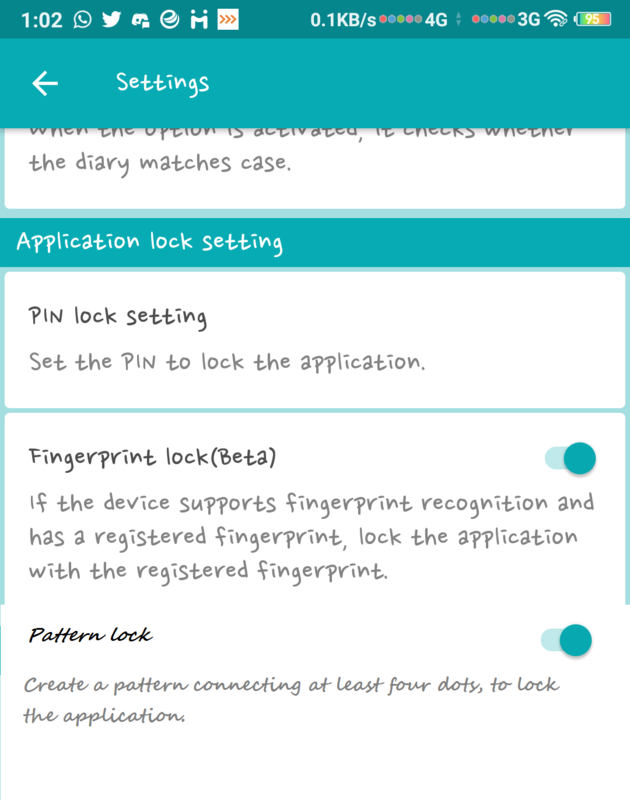 Easy Diary; Implement pattern lock; An extra security measure for users without fingerprint hardware. Placing security systems on apps are necessary. Especially apps that deal with private or personal content you won't want anyone else getting access to. Easy Diary is one of such apps. I don't think I will ever want someone to get access to the content of the app. But there's an issue for users who don't use devices with fingerprint hardware. They'll be stuck with only the pin code method which time has proven not to be so effective. It is vulnerable to hacking. Especially when the character input is limited to four digits. 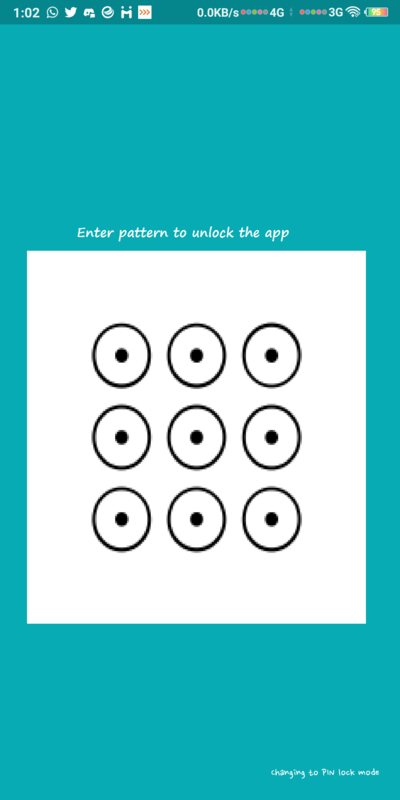 That's why I proposed the idea of adding a pattern lock system to the app. Like I stated above; I'm proposing that another security system should be implemented on the app. That is; "Pattern lock". Pattern lock is more efficient than using a pin code lock system. You can try thousands of pattern combinations. Patterns are more secured than pin codes. The inclusion of this feature would serve as added security on the app especially for users without fingerprint hardware.